Family-sized condo with a balcony, grill, fireplace, shared pool, and more! Property 1: Family-sized condo with a balcony, grill, fireplace, shared pool, and more! Magnificient Place Here For You. Awesome, Clean And Ready For Fun! Property 2: Magnificient Place Here For You. Awesome, Clean And Ready For Fun! 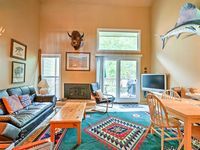 Stylish condo w/ mountain views - right on the lake, year-round outdoor fun! Property 3: Stylish condo w/ mountain views - right on the lake, year-round outdoor fun! Beautiful, lakefront condo w/ mountain views - year-round, outdoor activities! Property 4: Beautiful, lakefront condo w/ mountain views - year-round, outdoor activities! Private Guest Suite, "Hilltops II"
Property 6: Private Guest Suite, "Hilltops II"
Convenient family-friendly condo w/ shared pool, hot tub, gym, & tennis! Property 7: Convenient family-friendly condo w/ shared pool, hot tub, gym, & tennis! Property 10: Lakefront condo w/great balcony & resort attractions - including shared pool! Property 11: Dollar Mtn Ski-in/Ski-out w/ shared pool/hot tub, Updated in June 2018! Property 12: Cozy Weekend get away with beautiful views! Bright, open condos w/ mtn views, near outdoor activities - right on the lake! Property 13: Bright, open condos w/ mtn views, near outdoor activities - right on the lake! Ski-in/ski-out condo w/ shared hot tub - dogs are welcome, too! Property 14: Ski-in/ski-out condo w/ shared hot tub - dogs are welcome, too! Location, Location, Location in beautiful Sun Valley, ID! Property 17: Location, Location, Location in beautiful Sun Valley, ID! Property 18: Golf course-view condo w/ private patio & shared pools, hot tub, gym & more! 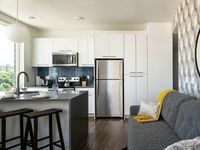 The Perfect Sun Valley/Elkhorn Condo! Property 20: The Perfect Sun Valley/Elkhorn Condo! Stay in the heart of Boise's treasured North-End neighborhood! Property 21: Stay in the heart of Boise's treasured North-End neighborhood! Convenient condo w/ Sun Valley Resort pool & hot tub, walk to Sun Valley Lake! Property 25: Convenient condo w/ Sun Valley Resort pool & hot tub, walk to Sun Valley Lake! Perfect Year Round Rental Within 5 Minute Walk To River Run Gondola. Property 27: Perfect Year Round Rental Within 5 Minute Walk To River Run Gondola. Property 31: Lakefront condo w/ enclosed balcony, lovely views & shared seasonal pool/beach! Lakefront condo on Payette Lake! Property 33: Lakefront condo on Payette Lake! Condo w/golf course views , shared pool & hot tub, adjacent to slopes! Property 38: Condo w/golf course views , shared pool & hot tub, adjacent to slopes! Cozy Victor Condo with Mountain & Valley Views, Close to Town! Property 39: Cozy Victor Condo with Mountain & Valley Views, Close to Town! Vacation just steps from Payette Lake and McCall's historic downtown! Property 44: Vacation just steps from Payette Lake and McCall's historic downtown! Cute condo near golf & Payette Lake Wi-Fi and a great shared pool & hot tub! Property 45: Cute condo near golf & Payette Lake Wi-Fi and a great shared pool & hot tub! Property 50: Cozy Condo Near Skiing, Golf, Lake, & More. Pet Friendly! We all loved this place, bright and happy vibe! The place was much bigger and more quiet than expected in a big building. It was super clean, beds comfy and linens nice. We cooked in the kitchen and although somewhat limited kitchen amenities, we were fine. We needed bedding for a guest on the couch but managed. It was really nice. Cozy and had everything we need it.